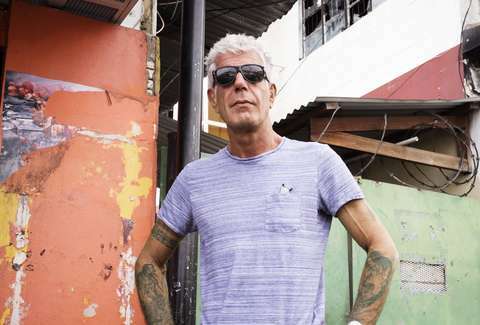 The twelfth and final season of Anthony Bourdain's beloved show, Parts Unknown, will feature special remembrances and other tributes to the late food icon when the last episodes air on CNN sometime this fall. But it looks like the network is working on an even bigger project to honor Bourdain, who died of suicide in June, that's meant for the big screen. CNN is in the early stages of what it's billing as "the definitive," feature-length documentary about Bourdain's life and work, according to a report by Vanity Fair. While there are few details about the film, it's currently expected to debut on the festival circuit in 2019, followed by theaters throughout the country, and of course, CNN and its platforms. Zero Point Zero, the production company behind Parts Unknown, is collaborating on the documentary, which has yet to be given a title, per the report. The documentary is coming in part because "there was still a hunger to know more about him" despite all he revealed about himself in his shows and that "[t]he documentary format became one of the more obvious ways to go," CNN's EVP of talent and content, Amy Entelis, told the magazine. Bourdain fans will, of course, want to see more of their favorite food and travel savant. But the challenge for CNN will be to get it just right.